Rocket Age smashes triumphantly off of the gaming table and onto the page. The team provide a well currated little collection of stories that perfectly capture the fun and over the top nature of the setting. Ken Spencer's Emancipation Knights was a particular stand-out, providing adventure and laughs in equal measure. For those worried about format, I found that the pdf was quite readable on my ereader, so I wouldn't worry too much about that, the content of the book far outshines any formating issues. Reviewing it as a work of fiction, not on the basis of its format, this is a great book, providing exactly what I was looking for: inspiration, world building and some fun stories to kill some time. Excellent beginning adventure, with all the "pulp" features you could want; lots of potential complications, a race for the maguffin, competing factions, aliens, Nazis...what else could you ask for? 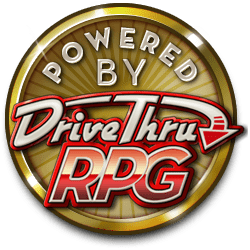 The adventure includes all the information you need to play, including details on the key NPCs and adventure spots, and it flows well while giving the players lots of choices to make along the way. Heck if you re-skinned it and set it in Africa or Central America in the 1930's you'd have a plot for the next Indiana Jones movie. Cubicle 7 has done it again! Plus, it's free. Alright, gonna say right now this is a great supplement. The new and varied Venusian cultures are all believable and compelling, the new creatures are fascinating and the earthling's interactions with the locals are excellent. Just one thing, I've never really mentioned before, but has come up in the Mars book and Trail of the Scorpion campaign. They need more editing. They've left a couple of minor errors in, nothing major but rather annoying. This campaign book is excellent, incredibly meaty and just plain fun. The overarching threat of the Red Scorpion feels incredible and really unites all the very different missions. It also acts as a tour of the Solar System, taking you to some very exotic locales and introducing a huge variety of new creatures, people and technology. The ever-present story hooks are as interesting as ever of course and even include the possibility of exploring the truth behind CS Lewis' greatest work. I really recommend this book even to those who aren't a fan of pre-made campaigns. Even if you only took parts from various adventures I think your money would be well spent. Very good starter adventure, lots of options, plenty of play options. An excellent quick introduction to a region of space so far unexplored in Rocket Age. Like most Rocket Age supplements the emphasis is on story telling and adventure hooks. It also provides a number of new careers and factions to work for and against. You want to be an independent miner trying to eke out a living? A pirate? A corporate enforcer? Done. The options are all there. For the price, there's no reason not to buy it. I have to say, if anyone hasn't grabbed one yet, these short PDF offerings are really good value at under two quid! Avoiding spoilers here, but this one adds a decent new antagonist (or employer, depending on your PCs) in the form of 5th Orbit Excavations, and a number of interesting adventure sites to boot! Go get it! This is pretty much a perfect game for what it sets out to do. It emulates the pulp/planetary romance genre with a real warmth and enthusiasm, whilst building on a simple system and rich setting within which there is a huge variety of options for gameplay. If you find traditional sci-fi games a bit too involved, complex and serious in tone, then this may well be the antidote. The system is completely compatible with the Doctor Who range also, and the production standards (especially the layout) is topnotch. As stated, a perfect game. Brilliant, simple additions that add more to the game without overcomplicating anything. An excellent expansion that provides you with enough background, places and new monsters that you could easily run all your campaigns on Mars if you really wanted to. Fancy a race around the inner solar system, looping around Mars and Venus? Well, it's attracted quite a lot of attention, not all of the desired sort. Some rotter calling himself the Ghost Racer has threatened to disrupt the race unless he's paid a load of money. The party - who would be best off if at least someone can pilot - get hired by the Solar Cup Race Commission to pose as late entrants and keep an eye on things, protecting the real competitors and spectators from this Ghost Racer. The characters will have some time to prepare, but the race is soon underway, around Venus and then to Mars, where there's a stop-over. All the time, they'll have to be on the alert to spot the Ghost Racer... if he's there. Everything is well-laid out, with all the information the GM needs ready to hand and plenty of appropriate atmosphere to help you bring the alternate reality to life around your table. Characters can work on their rocketship, and there are copious notes about possible custom modifications. They can also pursue their investigations, and people with whom to talk are provided a-plenty. What's even better: the whole rocket racing community is brought into existence with other racers and even some of the notable events mentioned - so if your characters get a taste for the sport you will be able to weave it in to subsequent adventures. Once the race begins, the actual mechanics of running it are explained clearly and coherently utilising the Chase rules from the core rulebook with appropriate modifications. This should help you meld die rolling into an exciting narrative as rocketships jockey for position. Various incidents to weave into the race are also provided. Overall, a well-presented exciting little adventure. Gentlemen, start your engines! Bring 'em Back Alive is a short adventure, worth a night or two of pulp adventuring, in the retro sci-fi world of Rocket Age. The characters are part of an expedition into the jungles of a fictionalized version of Venus that is covered by thick, dangerous jungles and inhabited by savage natives. Like the Rocket Age previous adventure (like City of the Ancients), a great strength of this adventure is the number of NPCs offered for player interaction. From fleshed out characters like British botanist Harold Keyes and his eccentric sidekick who hales from one of the moons of Jupiter to the plucky reporter Justine Porter who is just trying to be taken seriously, there are a handful of these NPCs who are fleshed out and ready to go. But, in addition to almost a dozen others ready to be fleshed out by enterprising GMs looking to customize details of the adventure to their campaign. The expedition itself begins in an area called the Valley of Flowers, which uses a series of randomly generated events to increase replay value of the adventure. From natural hazards, lost companions or irritating Venusian Lizard-Monkeys, there are a plethroa of opportunities for pulp heroics just in this first part of the adventure. In the second part of the adventure the characters face deadly threats from both the flora and fauna of Venus and discover signs of the hidden civilizations within the deep jungles. The adventure closes with the surprise discovery of some ancient, lost technology and the surprise of a deadly technological threat to the entire expedition. High adventure is the name of the game with Rocket Age, and Bring 'em Back Alive is no exception. But adventure doesn't necessarily mean violence, and brains are as important here as brawn. In fact, the adventure itself recommends giving the players a larger reward for solving their problems through ingenuity instead of violence. In the face the adventure City of the Ancients, Bring 'em Back Alive is asking is $3. Given the replay value of the adventure, the application of the NPCs and threats presented within the pages and how they can be used for more adventures on Venus, and the sheer fun of Rocket Age as a game and setting, this adventure is well worth picking up.